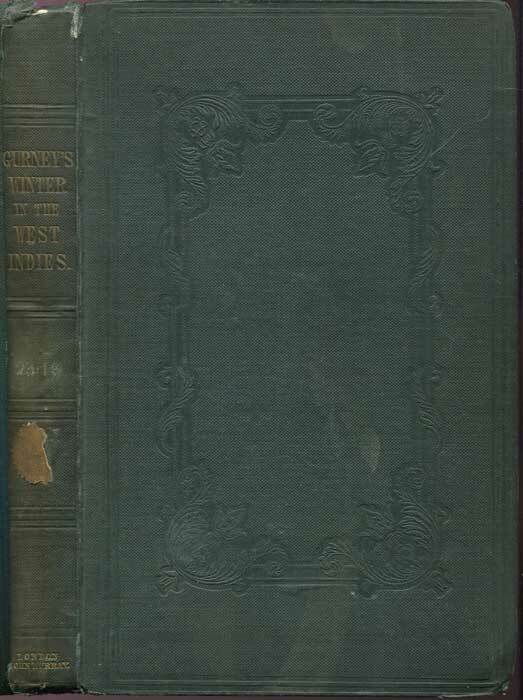 GURNEY J.J. - A winter in the West Indies. Described in familiar letters to Henry Clay, of Kentucky. 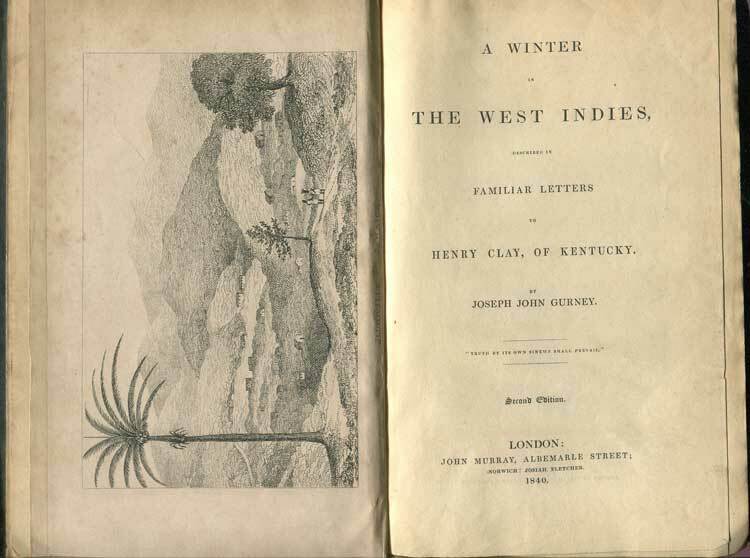 282pp + 2 engraved views of Jamaica + printer's ads. 2nd ed., mostly clean in original worn blind stamped cloth with bumped corners not affecting pages.Gurney was a Quaker emancipationist. Chapters on Antigua, Dominica, Jamaica, St Kitts, St Thomas, Tortola and Cuba.